My first card uses the new True Multifaceted Heart cutaway, and combined it with the previously released My Precious stamp set. The sentiment is a little bit of an ode to Lord of the Rings :), but more just a thought of my little Arabella Grace. She is my precious treasure in Heaven. I started with a coral A2 card base. Then I added the distress inks to a watercolor block using the smooshing technique. Once dry, I adhered the watercolor block to the card base using foam tape. I diecut the heart from gold glitter paper, then adhered it to the card front with a knot of gold thread. I stamped & heat embossed the sentiment to vellum, then cut into an arrow shape. I adhered the sentiment strip over top of the heart, then accented with enamel dots to finish. My next card is a fairly similar design, just flipped & with different colors. 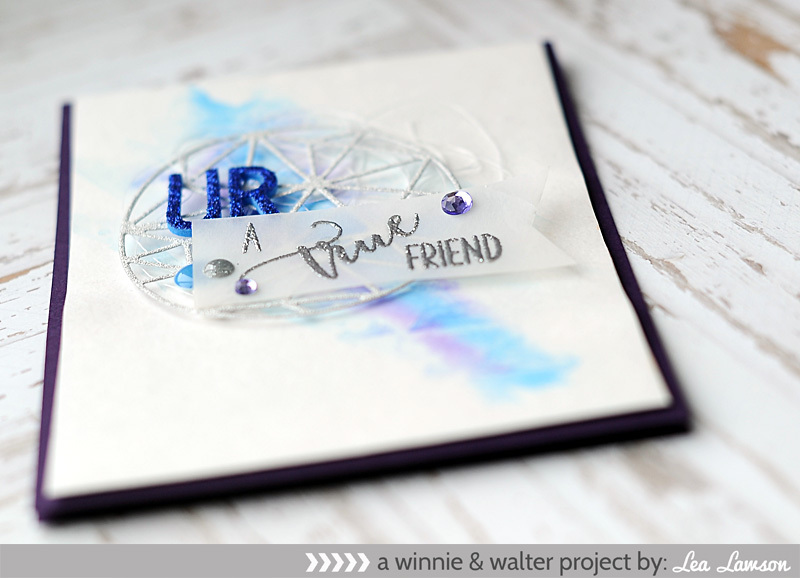 I used the True Multifaceted Circle cutaway, and created a sentiment from the previously released True stamp set. The background was also created with watercolor and the Scenery: Triangled Creative Screening. I started with an eggplant A2 card base. Then I liberally applied color to a watercolor paper block, and placed the triangle creative screening over top of it. I placed a plastic block over top of it, and then applied weight to the top of it. Once dry, I adhered the watercolor block to the card front using foam tape. I diecut the circle from silver glitter paper, then adhered it to the card front with a knot of white thread. I stamped & heat embossed the sentiment to vellum, then cut a banner edge to the right side of it. I adhered it to the bottom of the diecut circle, and accented with enamel dots. I added the glittered foam letters to the card to finish the sentiment. 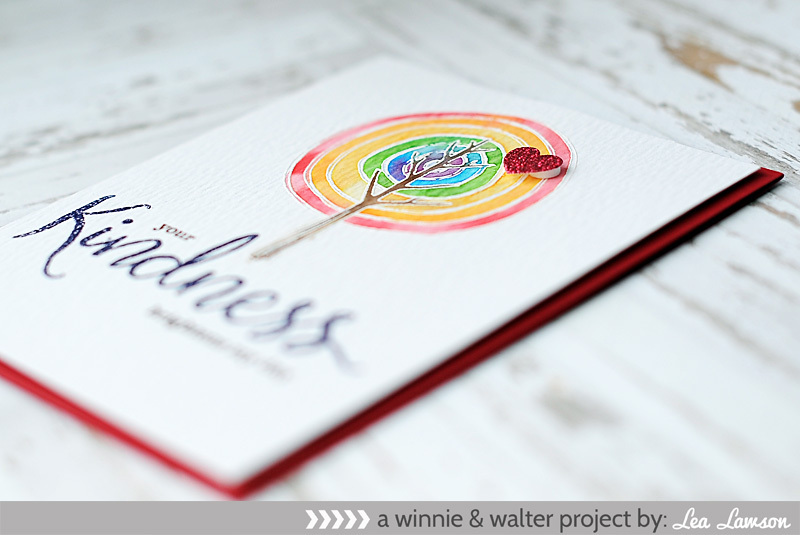 My final card uses just the brand new Kindness stamp set. When I first saw this tree, I knew it needed to be done with a rainbow watercolor gradient! I started with a red A2 card base. I stamped & heat embossed the tree to a watercolor block. I then painted the tree in a rainbow gradient, and the trunk in brown. Once dry, I stamped & heat embossed the large part of the sentiment in eggplant. I stamped the rest of the sentiment in brown ink using my MISTI. I adhered the watercolor panel to the card base using foam tape, then accented with a red heart sticker to finish. 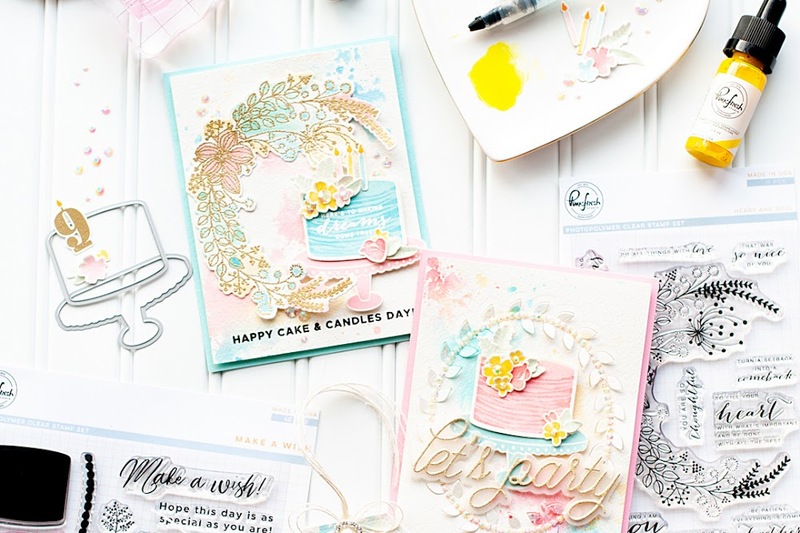 The Belated 2nd Birthday Bash Giveaway - Stamps for a Year!! 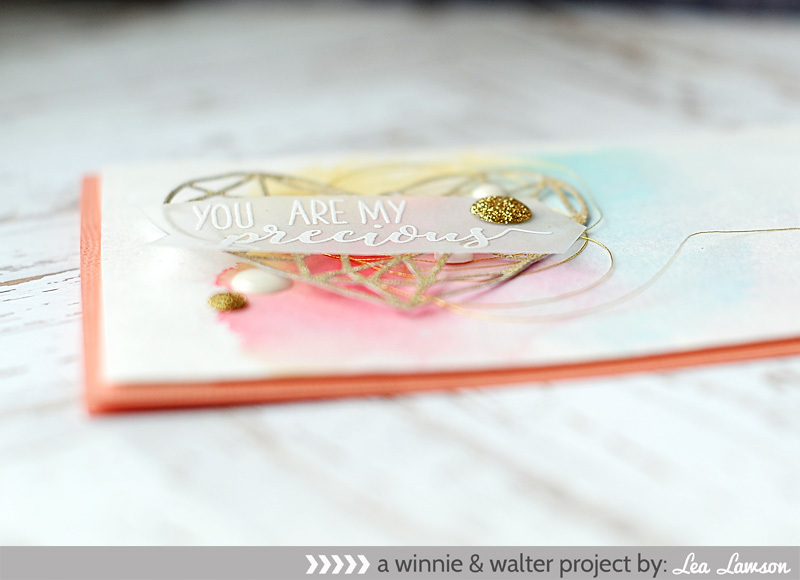 The rest of the Winnie & Walter talent also have amazing samples to share with you, so be sure to check out their blogs too! 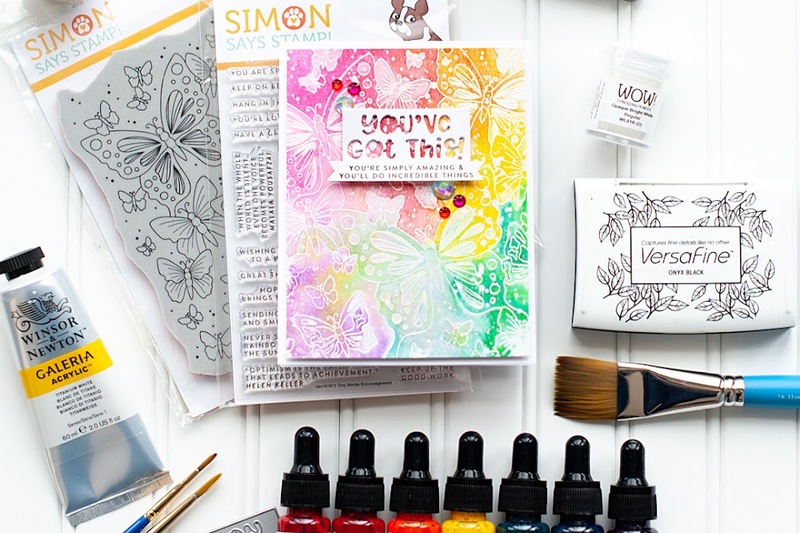 I will be back tomorrow morning with some more projects using these brand new products! Hope to see you again! Gorgeous trio of cards Lea! 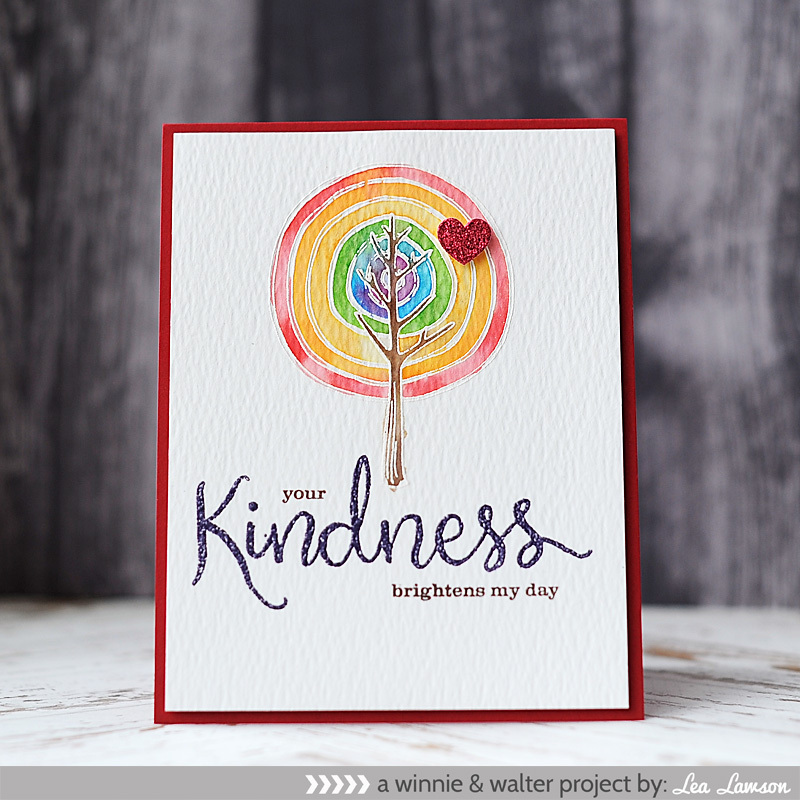 Love the simplicity and elegance you created with your collage design for the first two but your rainbow tree in the third card is my favorite. Thanks for joining us at CASology this week! UR my precious stole my heart!!! 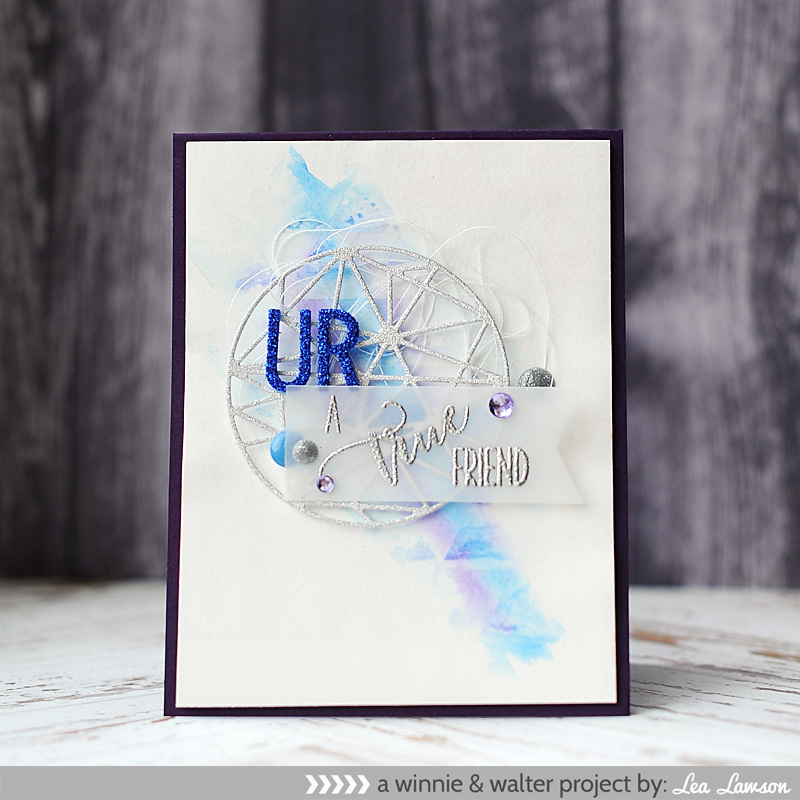 I am back to comment on Day 4, there was no linked page, but your congrats diamond cut away shaker on W & W site, is one of my fave cards ever!! Love it! These are fabulous! 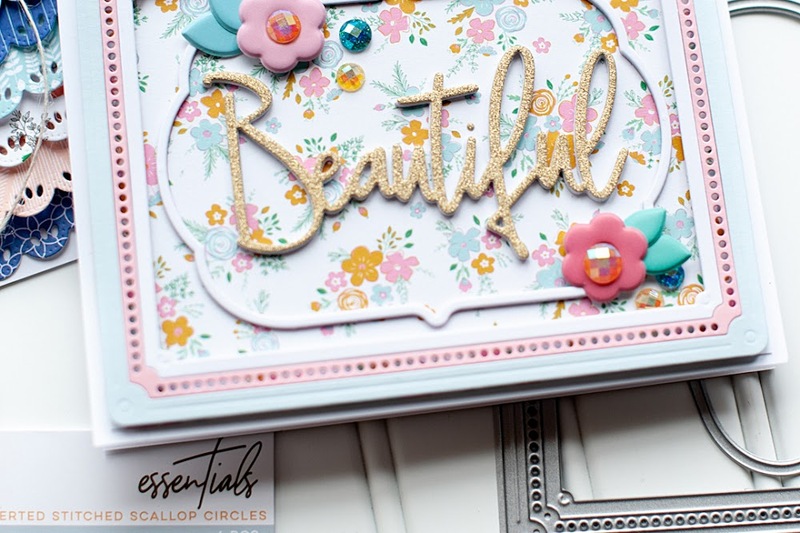 I love to see cardmakers use the same supplies to make different cards! So glad you joined us at CASology this week! WOW, that's what I thought when I saw your card. These are simple divine. Your photography also is stellar. Thanks so very much for sharing your creation at A Blog Named Hero so I could enjoy your work. Hope you'll join us next month for our new challenge. Take care. Lovely cards! I just really love the way you got such nice water colored areas behind your elements! 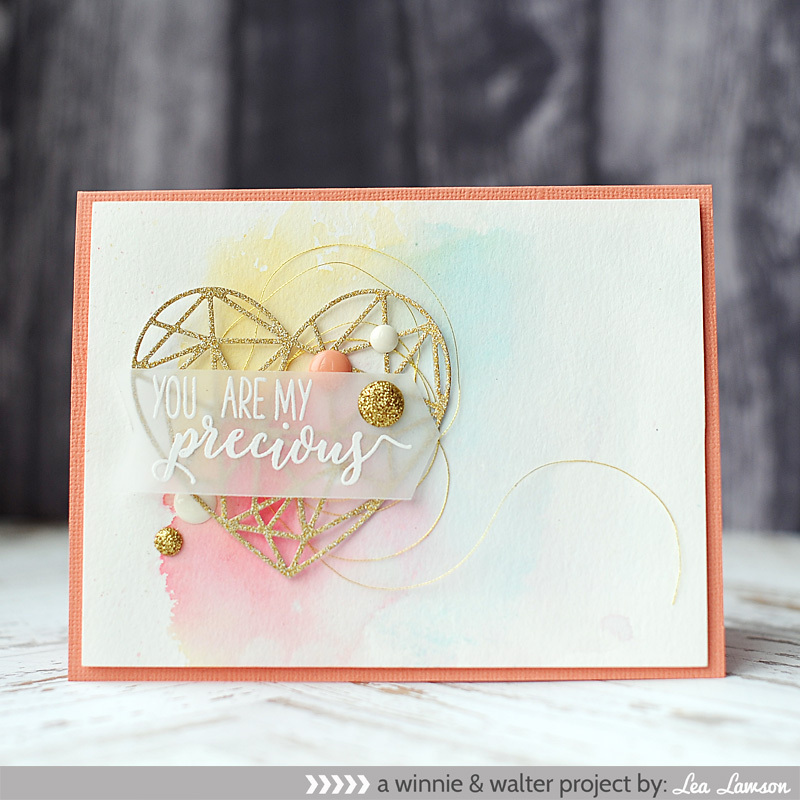 The sparkley heart and sentiment in the first card is really sweet.